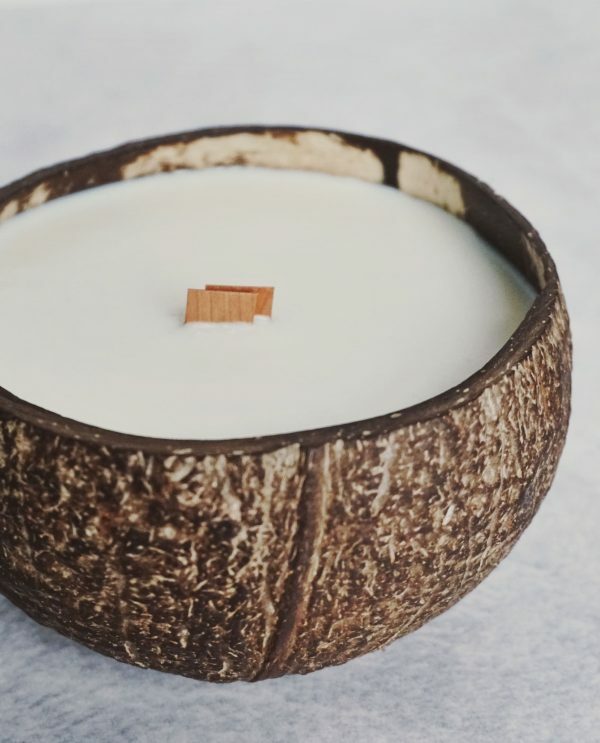 Our eco-friendly and vegan Scented Coconut Candles are all handmade with love. They are made of soywax with a crackling wooden wick which makes them burn slow and smell lovely. 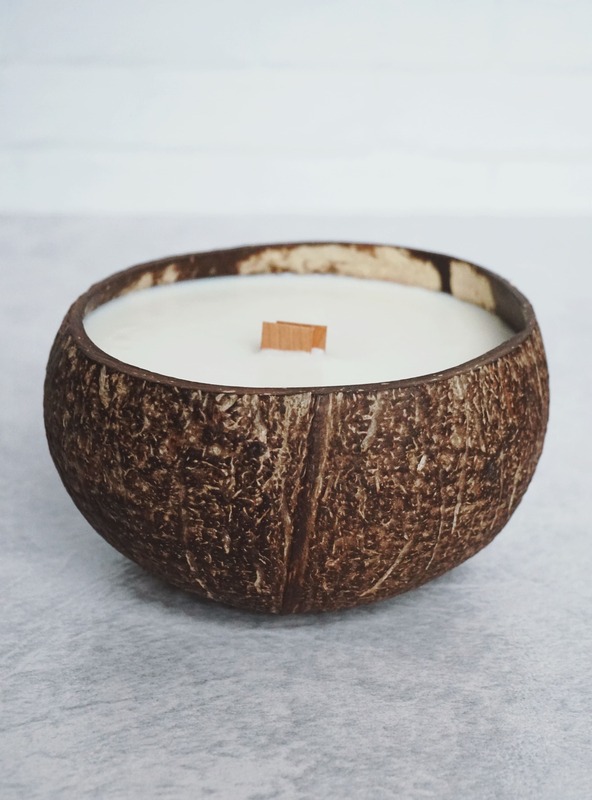 All Coconut Candles are scented with organic coconut essential oil and are perfect for candle lovers and romantic moments. 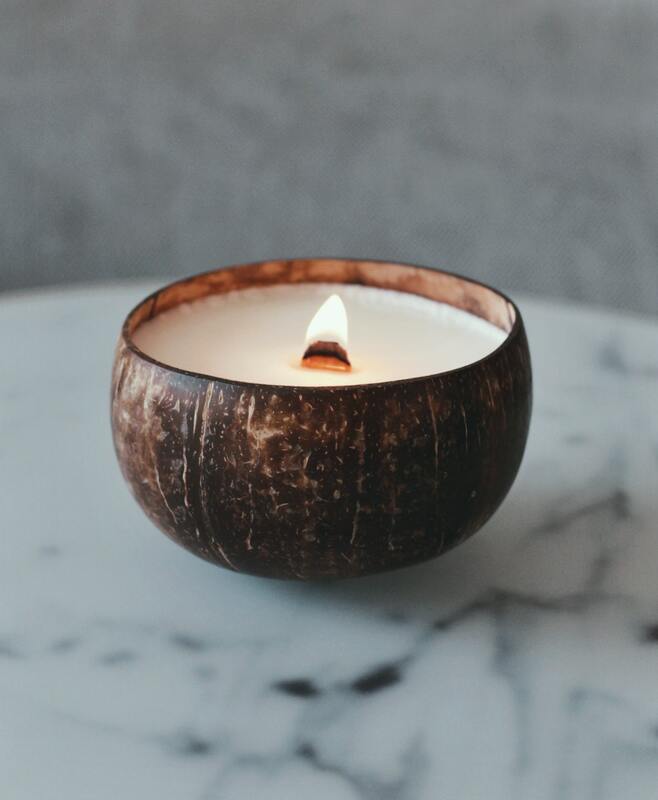 Choose between Natural or Smooth (polished) Coconut Candle. These candles will fill your home with tropical vibes and let you forget the daily hassle. Also there are so many reasons to prefer soy wax candles. They are eco-friendly and vegan manufactured, biodegradable, contain no petroleum, release no harmful substances, burn longer and simply smell good. When burning off for the first time, please allow to burn until the entire surface is liquid. This avoids the formation of tunnels.